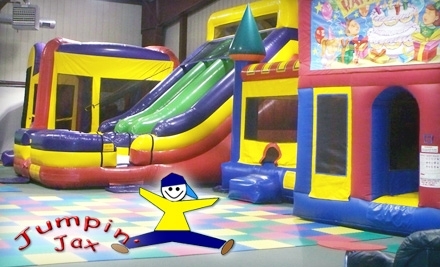 Right now on Groupon, (Lansing, MI) you can get Three Unlimited Day Passes at Jumpin’ Jax Bounce Arena for only $12.00 ($24.00 value). Groupon is the daily deal site offering unbeatable deals on the best stuff to do, eat, see, and buy in cities across the world. Groupon uses collective buying power to offer unbeatable prices and provide significant benefits to businesses and consumers.